Medical malpractice can be a very difficult episode to deal with, especially if the negligence resulted in loss of life. However, those in the medical field who have erred cannot be treated any differently when it comes to seeking retribution against them just because of their profession. When you do need to pursue damages for malpractice, your choice of legal representation is incredibly important. Contrary to popular belief, not every lawyer is capable of handling whatever legal case that’s thrown on their desk. You need to be working alongside experienced malpractice lawyers who know the territory and will aggressively pursue damages on your behalf or on behalf of your family. The initial step in the medical malpractice process is seeking out legal representation to advocate on your behalf. For many people, this could be their first time dealing with such an incident, and they might not know where to start searching. 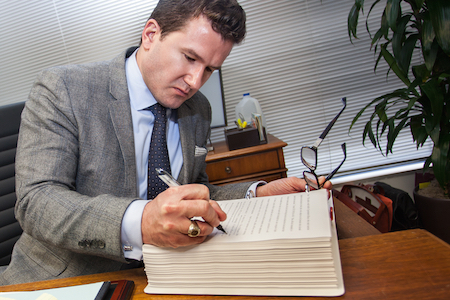 There are a few different ways you can find the right malpractice lawyers. If you have a lawyer who’s not specialized in malpractice suits, ask for a recommendation from them. Good lawyers will network with peers they trust in case they ever need to call on them. Extended family and friends can also help. In the unfortunate event that someone you know was the victim of malpractice, they might be able to point you in the right direction. Ask them about their experience, what the lawyer was like throughout the process, and any other qualifying questions that are important to you. Besides having a deep understanding of insurance law, any great malpractice lawyer can take you through their own history in dealing with such cases. This means knowing the number of malpractice suits they’ve been through, and of those how many have either gone to trial or settled. It’s also incredibly important for them to know who their medical experts are, or at least know where to source them from. The lawyer should not demonstrate any uncertainty here since a malpractice suit in the state of Texas cannot move forward without an expert report. Lastly, the lawyer should seem confident and unwavering in their ability to try such a case. This is a person who will be fighting for your justice, so a certain amount of bravado can go a long way to get what you deserve. This isn’t so much about the lawyer as it is your comfortability with them. You might have an opportunity to work with a highly recommended, experienced lawyer who possesses a valid track record. However, if you don’t feel comfortable with them as your legal representation, that’s OK! Medical malpractice cases can be long, arduous affairs. You want to know that you’re completely bought into your lawyer and working alongside them. They’re going to need to ask you and your family a lot of personal questions regarding the malpractice, so trust is important. The same goes for anyone who works on their staff. Since many firms work as a team on cases, you should take some time to talk to other members and feel comfortable with them. Whenever you need legal representation, take the appropriate steps to find a law firm that you trust. Nothing is more important than your personal well being and the well being of your family, so don’t settle for anything less than the best.